R2-D2 is my favorite Star Wars character. 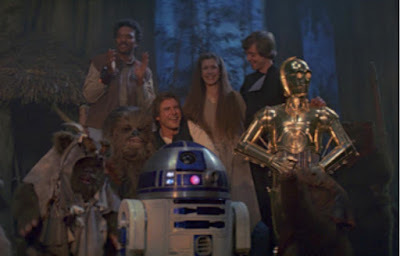 But, while watching The Empire Strikes Back recently, a realization hit me, and suddenly my fundamental understanding of my favorite character was questioned in a way that led me to discover a horrible truth: R2 is not who we think he is. It was a first step into a larger theory that had me question all of R2’s actions in the original trilogy. And upon examination, I’ve discovered something that I can’t unsee—that I don’t want to be true—it’s impossible. But, search your feelings, and ask yourself: who programmed R2, just before the droid fell into the hands of those who began the Rebellion? I love R2, but the inescapable truth is that all during the original trilogy, R2 is serving Darth Vader. It is with a heavy heart that this article shows that R2 received all of his later programming and upgrades from Anakin Skywalker, and as a result, R2 serves Darth Vader. Even in a galaxy such as Star Wars, droids can only act on programming they receive. Thus, during the original trilogy, R2 is an active double agent within the rebel alliance because of his programming by Anakin Skywalker. 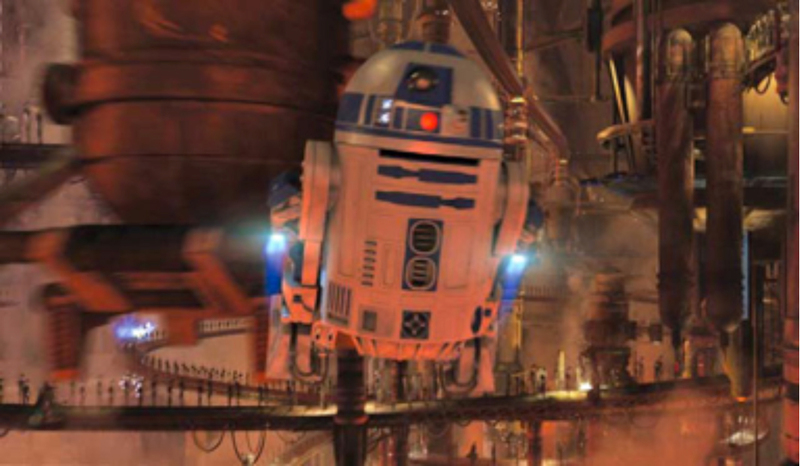 Somehow, R2 can fly in episodes II and III, but not in any other film, so we immediately know that R2 is full of surprises—there is more to the little droid than we can see. During Episode 3 onboard Grievous’ ship, where the chancellor is being held, it is revealed that R2 has received multiple upgrades and programming from Anakin. We also see R2 in Anakin’s Starfighter at the beginning of the movie; indeed, R2 is constantly by Anakin’s side throughout the film. Anakin has taken to R2 and defends him saying, “No loose wire jokes… he’s trying.” This means we can deduce several facts: R2 is Anakin’s droid. R2 has been programmed by Anakin to serve as his droid. R2 serves Anakin to the best of R2’s ability. Don't shoot that droid, you fool, don't you know how long it took me to build it? Recall that C3P0 was also built by Anakin and he is protective of his droids, even after his transformation to Sith Lord, as evidenced by the scene in Empire, where Vader saves C3P0 from Boba Fett. And, while it is possible that ol’ Goldenrod is also a double agent for the Empire, there is no overt evidence to support that claim, while plenty of evidence suggests R2 continued to serve his master during the original trilogy. Agent R2D2 secures the stolen plans. Another job well done. As the Tantive IV comes under fire in A New Hope, one wonders how the Empire tracked the stolen plans to the Death Star to a diplomatic ship. This is left unanswered, which offers us room for speculation. 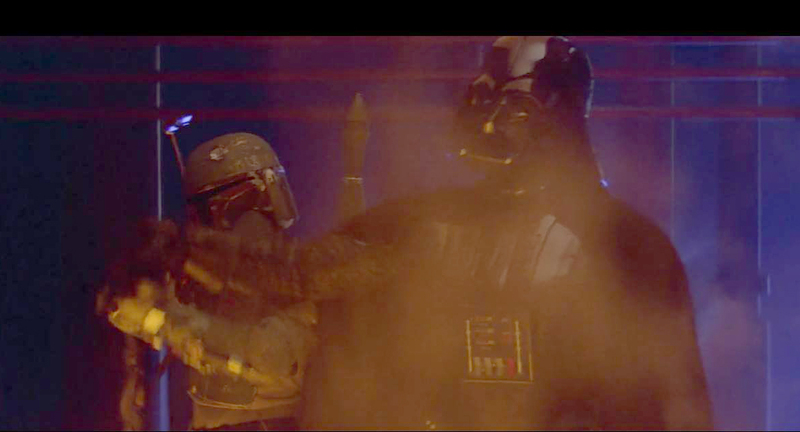 Could there have been a double agent onboard who signaled Darth Vader? We don’t know for sure, but here is what we do know: R2 manages to get the plans to the Death Star from Princess Leia. In doing so, R2 learns that Obi-Wan Kenobi is on the planet below. Sometime between learning this information, and escaping in the pod, R2’s mission changes. As the Death Star plans are now recovered, R2 is tasked with finding Obi-Wan—and if the Imperials find the droids they are looking for, they’ll find the fugitive Jedi. This is further reinforced by the escape pod; why else was such a flimsy excuse provided to not fire on every escaping craft? They must have been ordered to not fire on any pod that held no life-forms. Therefore, it is reasonable to conclude that R2 was the acting mole inside the Tantive IV who informed the Empire of the whereabouts to the stolen Death Star plans. R2 successfully finds Obi-wan, and they all make their way to the Death Star. Everything is going to plan. But why, do you ask, does R2 save the gang in the trash compacter? This is because, in the control room with C3PO, R2 receives new orders, which is confirmed by Moff Tarkin as Darth Vader’s idea: Let the ship escape with a tracking device (R2) to find the rebel base. This required the assistance of at least, Han, which meant R2 had to shut off the trash compactor and aid in the rebel escape. This escape happens after Obi-Wan’s death, which would not have been possible without R2’s help. What makes R2’s actions even more apparent is when Luke targets the Death Star. R2 couldn’t stop Luke from destroying the Death Star because he turned off his targeting computer and fired manually—if he hadn’t, R2 could have easily made the shot miss. Hush your beeping, R2-D2, we're trying to work out who is sending a signal to the Empire. In Empire, R2’s status as a double agent is even more firmly established. If you will recall, Hoth was not the first outpost used by the fleeing rebel fleet. The Empire kept finding the rebels, which they hadn’t been able to do at all during the first movie. This more than likely means that R2 had not been to the rebel base before Empire. But once he was embedded with the rebels, it was only a matter of time before the Empire found them—time and time again. R2 must be signaling the Empire. This is even shown on Hoth. 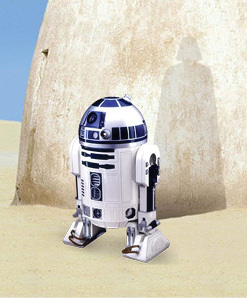 While under the guise of locating Luke, R2 broadcasts the location of the rebel base. This suggests that there was cooperation between the probe droids and R2, as the galaxy, and even planets, are large places that would need to be narrowed down and/or confirmed before launching a massive ground assault. This would also suggest why the hyperdrive on the Millennium Falcon kept malfunctioning. R2 is behind the sabotage. But why, do you ask, did R2 fix the hyperdrive on the Millennium Falcon at the end of Empire? He didn’t, not at first. In the encounter between Darth Vader and Luke, Luke tried to kill himself rather than let himself fall into the hands of the Emperor. As a side note, Darth Vader must have a means to directly communicate to R2 in his suit, much like Tony Stark has access to his technology via Jarvis. Thus, Vader signaled to R2, and the Falcon was allowed to escape, rather than risking the life of the Emperor’s prize. This is evidenced by Vader turning and marching away, rather than dealing with an Admiral’s incompetence by Vader’s usual means. Finally, in Return of the Jedi, R2’s status as an agent of Darth Vader, nearly gets the entire rebel movement destroyed. Obviously, something on Dagobah prevented R2 from signaling the Empire of Yoda’s whereabouts, as evidenced by the useless ‘navigation sensors’ onboard Luke’s X-Wing. Or, maybe the Empire tried to locate Yoda later, but failed. Nevertheless, after R2 is embedded with the rebels on Endor, his constant communication with Vader keeps the Empire abreast of the Rebel movements and confirms that Luke is on Endor, ready to face Vader. But during the final battle, R2 is unable to open the bunker doors to the shield generator. This is odd, as we have seen R2 work about any imperial system easily over the course of the last three movies and more, if we dip into prequel territory. Suddenly, R2 cannot even open a door, and he must resort to sacrificing himself by getting shot rather than blowing his cover. But by not opening the bunker door, R2 nearly causes the death of the entire rebellion, except that outside forces mitigate his delaying maneuver. Mission failed... cue dialogue reduced to a chorus of bleeps covering the sound of an infiltration droid swearing. In conclusion, we must face the hard reality that our favorite little droid was in fact, an imperial agent. This was because he was programmed by Anakin, who would later turn to the dark side. So, it is not R2’s fault. He was programmed that way and cannot be held accountable for his actions. But nevertheless, his programming meant he had to follow Darth Vader’s orders. He found and brought Obi-wan to imperial justice, he alerted the Empire to the rebel whereabouts, and he attempted to keep the rebels from successfully shutting down the shield generator on Endor. While it breaks my heart to write this, there is new hope that Luke has been able to reprogram the droid and that R2 will once again be my hero in the upcoming Awakening. Thank you all, for reading. You can catch up with Brent A Harris on Twitter, where he'll happily argue his case for the littlest secret agent. Also, this theory would explain why R2 never told Luke the truth about his Father. The little droid knew all along but didn't say anything--because he couldnt. So... when taking off from Mos Eisley and taking on Chewbacca at chess... was R2-D2 deliberately trying to rile the Wookiee by not letting him win in an effort to start an on-ship fight? Nah...that's just how R2 rolls. You are absolutely correct. R2's memory was no erased. Thank you for pointing that out! Thank you, but I will say that I'm torn. R2 seems so heroic on the surface, but the evidence suggests otherwise. It's a heartbreaking twist.